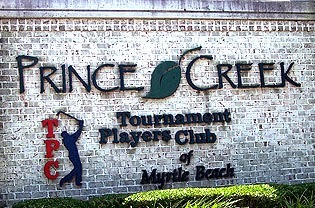 In Murrells Inlet, the master- planned community of Prince Creek borders the Tournament Players Club Golf Course created by Tom Fazio. 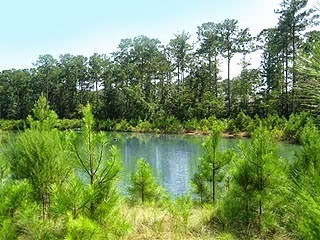 The neatly grooms greens with lush ponds and lakes lined with cypress trees, pines, and red oaks is home to an array of flora and fauna. Price Creek residents share their backyards with egrets, swans, great blue herons, otters and more. In this serene setting they are still only minutes away from outstanding schools, shopping, dining, and all the great attractions and entertainment of the Grand Strand. Prince Creek and Prince Creek West subdivisions offer a diverse variety of homes to fit your style and budget, with choices of gated neighborhoods, water views, and golf course views. Community amenities feature a clubhouse, fitness center, tennis courts, pools, grocery stores, a local post office, and admission to local gyms and more. The Bays – This is a private, gated neighborhood with many choices of homes. They have their own clubhouse, with sports fields and courts, a pool and a picnic area with an outdoor fireplace and fire pits. Laurel Bay - This neighborhood is well- established and has some of the first homes built in Prince Creek with only a few home sites still available. Shallow Creek Bay –Homes here are in high demand ranging from $150-$300K. Waverly Bay – A very pastoral neighborhood, homes border lakes, ponds and wooded areas. Willow Bay – This neighborhood is encompassed by wooded conservation areas with 13 acres of lakes. Prices range from $200-500k. Bellwood Landing – This neighborhood is gated and has 102 home sites bordering a lake or conservation area for added privacy. Hunters Grove – Another gated neighborhood offering 73 home sites, there are several homes priced in the $200’s and many lots for building. There is a community swimming pool. Collins Creek Landing – This is gated community with homes for sale from $300-600K and home sites. The community has on-site boat storage. Creek Harbour – This gated community has charming brick homes and large lots as big as 3 acres that are prices from $400-900K. Linksbrook – A Centex community, Linkbrook gives the buyer the opportunity to build a new Centex home or purchase an existing Centex home, ranging in size from 1800 -2700 sq. ft. and Linkbrook has its own pool, tennis courts, and clubhouse. Creekhaven - This is a Rylan Home neighborhood with homes and lots ranging from $200-300K. 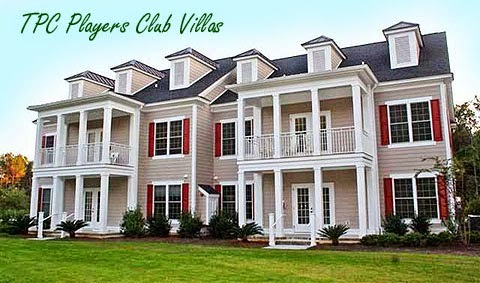 There is also Seasons Retirement Community, an amazing gated neighborhood for vigorous adults, 55 and older. Offering all the luxuries of home in an environment for active seniors to socialize and participate with others. The ideal retirement homes are priced $150-400k. Is your interest peaked? Let us take you on a tour of Prince Creek and show you all this community has to offer. Call today!